Donors are to Gift Opportunities as Plugs are to Sockets. Yes, this is a strange analogy – but it’s valid! Gift opportunities are appealingly packaged benefits that donations will provide your clients and/or community. Ideally, gift opportunities cover a wide range of program deliverables and price points – and include direct as well as administrative expenses. If your organization serves several client groups – such as seniors, children and the working poor – your gift opportunities need to reflect multiple benefits provided to each group. It’s also important that the price points range from as low as $25 to five-figure items. Presenting a five-figure gift opportunity suggests 1) you know specifically what outcomes a gift of this size would accomplish and 2) your programs could make use of gift of this size. Keep in mind that donors may choose to give multiples of the same item, especially at lower price points. More importantly, gift opportunities are inspiring “invitations” to give. They don’t have a clear and purposeful way to connect and partner with your organization. Most likely, they are left on their own to decide what amount to give, without knowing the specific benefit they are providing. In short, they can’t “complete the circuit” with a solid connection to your organization. Heifer International has a wonderful range and presentation of gift opportunities. They have something for everyone – in terms of benefits and price points. There are Animal, Basic Needs and Sustainable Farming options – plus a “Give Where Needed Most” opportunity on every webpage. Notice how lower priced “shares” of higher priced items are available as well as opportunities to become a monthly donor. Enterpriser Gift Basket, Dream Basket, Promise Gift Basket and Send a Girl to School, among others. Each of these opportunities provides animals and training . . . and the name of the item focuses on the benefit to the woman or girl! Notice there are no uninspiring “check boxes” alongside a list of possible gift amounts. Compelling descriptions of benefits and photos of people served accompany each giving button. As a result, the specific benefit the gift will provide is affirmed to the donor all the way to the final “click to give” decision point. What is the status of your gift opportunities/sockets? Are they inspiring in the way they present the benefits each gift will provide your clients and/or community? Do they represent a wide variety of price points? 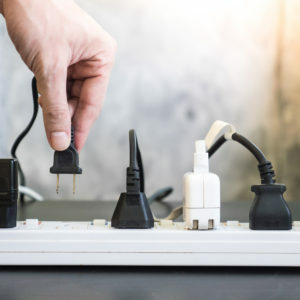 Do they offer donors a compelling way to “complete the circuit” and connect with your organization?